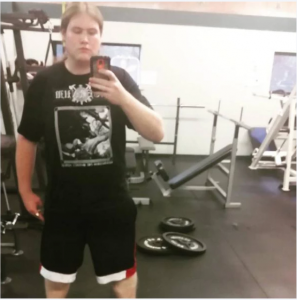 Being in shape isn’t all about physical health, but can have an equal impact on our mental well being, as depression sufferer and Amazing Loser Michael knows only too well. On the flip-side of that, it follows that a positive self-image is going to have a positive effect on our health, i.e. taking care of your appearance is going to give you the positive mental attitude you need to keep up your weight loss efforts. Chicken, egg, it’s all good. 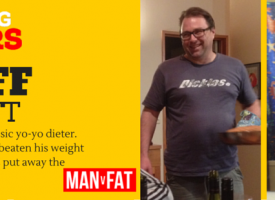 So Michael, can we start by understanding what circumstances led you to your highest weight? Mainly I would say depression, but a lot of my depression was from my weight. I started a new job and it was largely sedentary, and eating out for lunch from pizza places everyday definitely started the gain. After work I’d also drink a lot of beer as the job was stressful. Could you give us a typical example of what you ate over the course of an average day? Either veggie burger, salmon fillet, vegan chicken with rice, or pasta. One day I’ll have either two slices of pizza for a cheat meal, or Chinese food (usually chop suey). 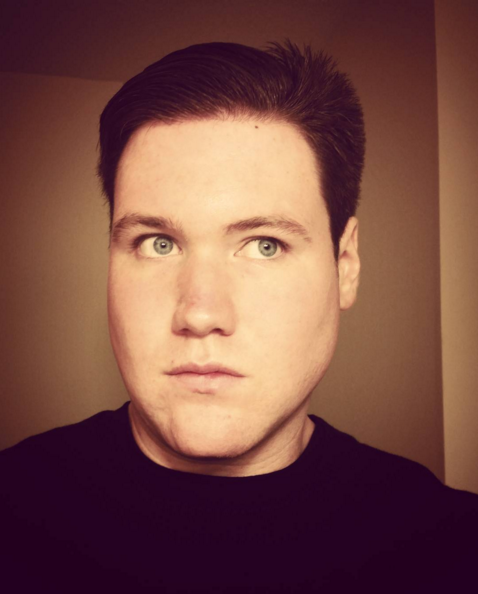 What negative experiences did you have of being overweight? I couldn’t go out with my friends to do physical things. I would also get very bad heartburn if I ate anything, it felt like my upper stomach was going to burst out. I also found that people definitely judged you for what you look like, not for who you are. Fitting into any good looking clothes was impossible, and also expensive. There’s a certain stigma about having to shop at a store for exclusively XL clothing. This time I wanted to lose weight for me. What made you decide to change? I knew I was heavy, but not as heavy as I was the day that my new job had a biggest loser competition – I stepped on the scale, and it read 420lbs. I was in shock, and I went home after work that day and decided I didn’t want to live this way. What made it different from the times before? This time I wanted to lose weight for me, and my health and self confidence. The other times that I had tried to lose weight, it was for someone else, or because someone had suggested it. How did you do it then? First I started by limiting my calories to 2,000 a day, and going to the gym 3 times a week to use the elliptical. As time progressed the calorie limit went lower, and I moved on to the stationary bike at the gym. I used Samsungs S Health to monitor my weight weekly, and it also counts the steps taken during the day, it has goals that when you hit make you feel good about yourself. I also used a calorie counting tool to log every item ate. By mid summer I was doing 1,500 calories a day, and walking for an hour, and also riding my road bike for 45 minutes. Right now as it is winter I am still doing the hour of walking daily, but I have moved into biking indoors on a stationary stand, and as of yesterday I have started the strong lifts 5×5 program, which means Monday, Wednesday and Friday, I will be doing weight exercises as well as some cardio. In terms of keeping with it, its really important to be proud of how far you have already got. You have your main goal, which for me is 215-210 lbs, but you should also keep little goals like hit 258 by the end of this week, or so and be proud of that. 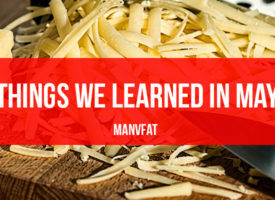 Even if you lose 1lb of fat a week, it means you have succeeded. There was a plateau around when I was 310lbs; I think this is likely because it was the summer and I was out at BBQs with friends, and basically not being as active on the weekends. The weight loss per week has slowed down a bit, but that’s expected as I reach my goal I need less calories per day to maintain, so the deficit is not as high. Who helped you the most and who got in the way? A lot of my friends have been super helpful, just by being there to hang out or talk, and go on hikes, or something physical on the weekend. Reddit’s progress pics subreddit is another great place to get motivation and everyone is always supportive. 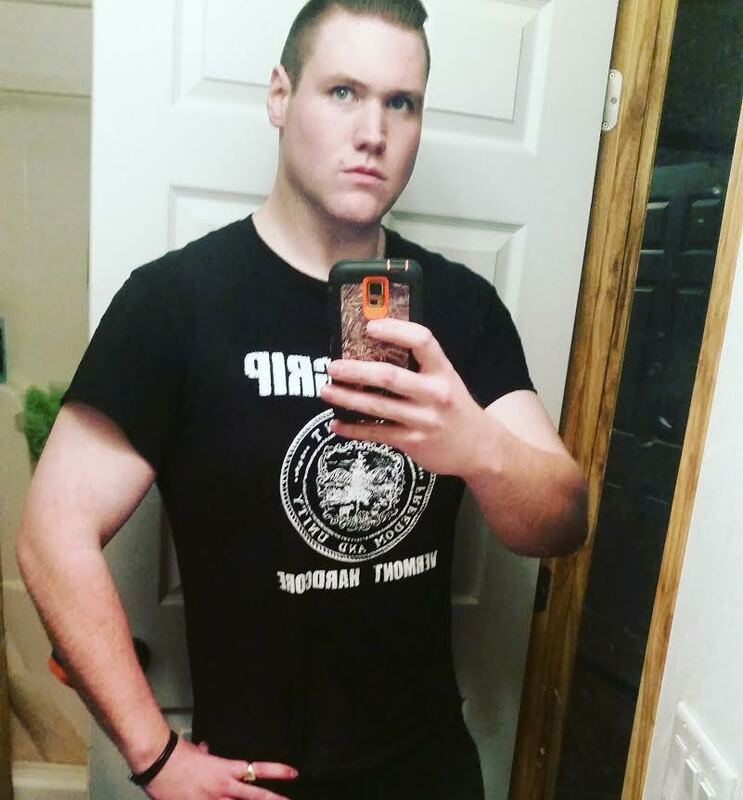 I would say that some family gets in the way, they don’t want to hurt your feelings so they deny that you are fat, or they say, “oh wow you are getting scrawny” or so. It can actually be frustrating. How has life changed now you’ve lost the weight? I’m a lot more active, I seek out physically demanding activities instead of avoiding them. I seem to have a lot more confidence, so talking to people isn’t as hard; you don’t really focus on if they are thinking you are fat, or if they dislike you because of that; it makes a lot of situations easier. I would say that the anxiety and depression I was struggling with have definitely been reduced, and I think they were influenced by my weight. I seek out physically demanding activities instead of avoiding them. If you could go back to the person you were at your heaviest – what would you say to him? I’d say that you everything that is making your days unbearable can be fixed by yourself. It just takes effort and determination. You’re Commander-in-chief for the day, what one law do you bring in to help others who are obese? My law would be that every restaurant and food producer would have to accurately label the calories and nutrition facts in every meal, some people have no choice but to eat out, but they should be aware of their options, and see the ones that won’t be detrimental to their health. 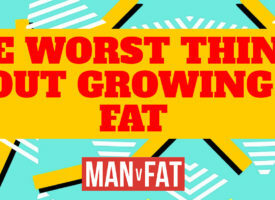 What 3 things do other fat men need to know about losing weight? It’s a long process but it’s worth it in the long run. Let yourself have a cheat day every once and a while but don’t overdo it. Take care of your facial hair. 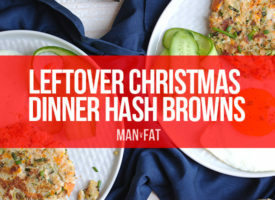 For guys losing weight, I’d definitely say take care of your facial hair – you don’t have to shave it off, but a neat look helps; the change makes me feel really good actually. I’m confident, and I can interact with people with out the anxiety I used to have. It wasn’t really shedding me, I am still me personality wise, but basically my depression made me not care, so I didn’t cut my hair or beard. I was also afraid to see my face when I was that heavy. 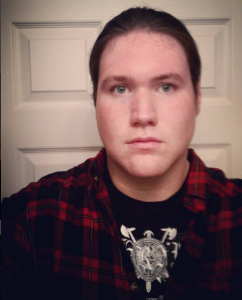 So in a way I’m shedding my insecurities and I am OK to face people as how I really look now. A lot of people say i don’t look anything like I did, and it’s even come to the point that if I go to a bar I get questioned hard when I present my I.D. It’s important to change your outlook; you need to see yourself as an extension of your progress, and its a good amount of work to progress to any point, so you should be proud of yourself, and take the best care of yourself that you can. Don’t do it for others, do it for yourself, and be proud of yourself. 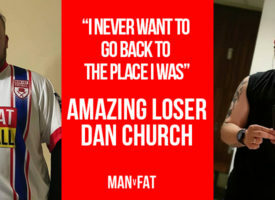 Our thanks to Michael and don’t forget – as with all our Amazing Losers and their weight loss before and after stories, you can find Michael on Talk and ask him anything you like! 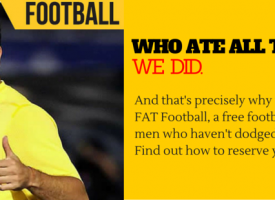 MAN v FAT Football Launches in January – Join Us! Yeah, I know. Totally on it guy as well. Thanks @mrashp! Thanks for such a great write up of my story. Flippin' 'eck. Kudos for sharing that full body shot at the beginning. I hated that photo but glad I took it, because it's now a reminder of where I'll never be again. The one regret I have is NOT having one of those "before" photos as I can't think of a better motivation than seeing what I looked like in May this year before I started to take my weight loss seriously. I'm sure I'm not the only one on here who kept out of the photos being taken and even though I regularly have to have my photo taken for the local paper as part of my job all I did before was hide my gut behind something/someone else!! @Mark_Hannigan you are an inspiration to everyone mate, so glad to read about all the health benefits you've experienced too. Incredible story and truly inspirational. I am now (as I haven't got one) going to do a "before" shot...even though I'm 40lbs down on my journey!!! Well done @Mark_Hannigan - pretty sure I saw this story on here a few weeks ago as a Newspaper article? Might just be my head playing tricks on me. Your current food plan is pretty much exactly I eat now, so totally understand why you love it so much and will stick with it. These VCLD low calorie drink diets are jack hard, so I take my hat off to you!